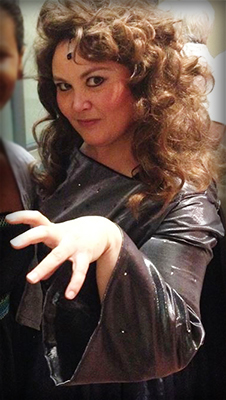 My wife was recently The Witch in a production of Into the Woods, and is the reason I have been so sorely Sondheimed. Luckily, this is an easy craving to fix. Start with your sausage (or preferred meat) in a cold stock pot heating to M. You can cut this up however you like to have it go into your mouth; I cut mine into 1/2″ chunks. As the pan and its contents heat, scrape the pan periodically to keep the brown flavors free. Once the outsides of your [chunks, bits, balls, or logs] are brown, remove into a bowl and set aside. Making sure you’ve locked in some of the flavor and texture here is key — you want what’s in there to keep seeping flavor once it goes back into the pot. 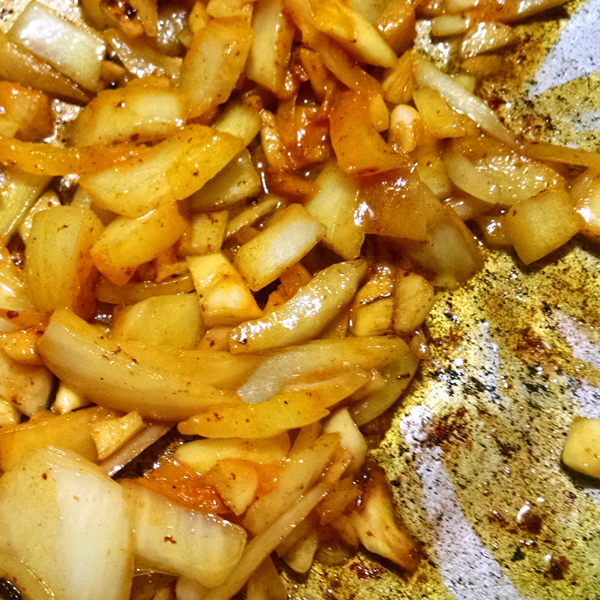 Turn heat to ML and add your oil, garlic, and onions. Add turmeric as they begin to succumb to the heat, then Paprika to cheer everyone back up. 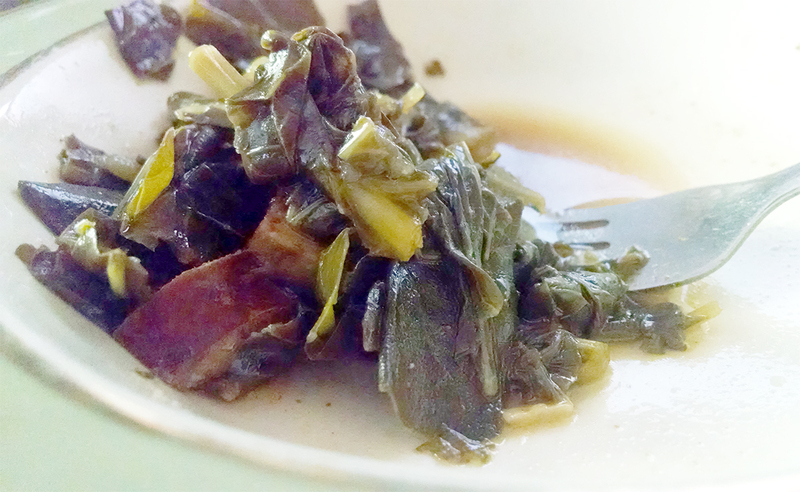 Start folding in your greens so that everything gets coated in oil. If it’s a messy prospect, start adding your broth slowly to even the playing field. Turn heat back up to M, make sure all the broth is in there then cover the pot. After 5 minutes, check and stir. Repeat this process until everything is wilted but remains green. Add sausage back, stir in asafoetida, reduce heat to L and walk away. The longer it cooks, the more flavorful it gets. It was great yesterday, and even better as lunch this afternoon. Serve with rice if’n you need something to sop up the broth. Kielbasa is straight up processed food and I could’ve chosen better which animals to invite to this party. 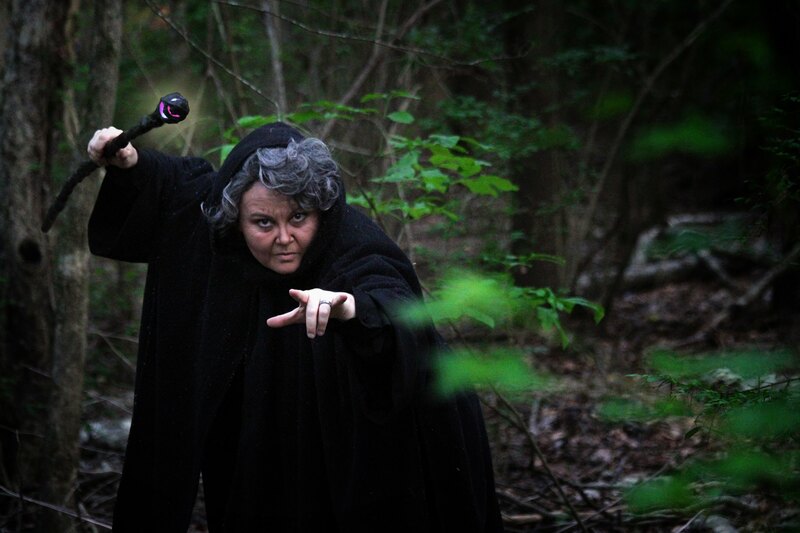 I’d be remiss not to close with this stunning photo of my beautiful wife as the sinister witch. You’re welcome honey! 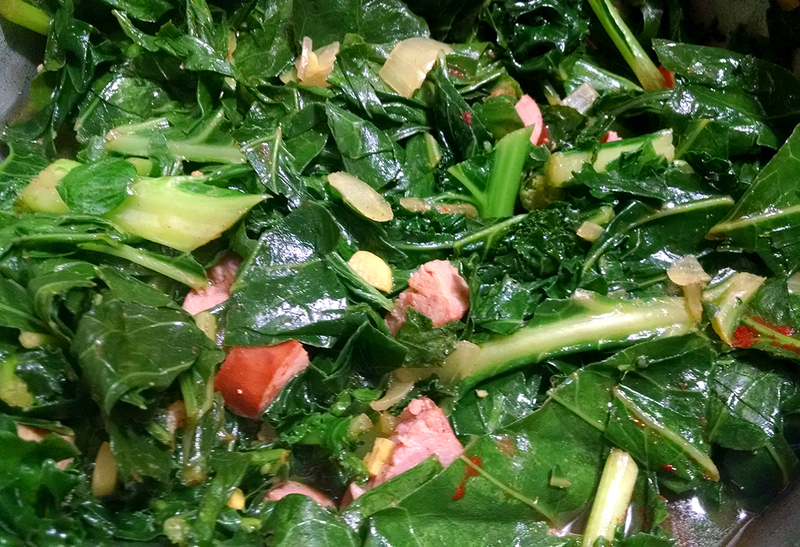 This entry was posted in Uncategorized and tagged greens, into the woods, kielbasa, sausage. Bookmark the permalink.